Munce Racing will be represented by a large team of runners at the Gold Coast Turf Club tomorrow on a wet track as racing resumes after a week of abandoned meetings. Former Kelso Wood-trained galloper TORRIENTE makes his anticipated debut for the stable in the Colts, Geldings and Entires Maiden Plate (1200m) after two encouraging barrier trials leading into his first-up assignment. Three-year-old filly CEOL NA MARA is also first-up having benefited from two barrier trials over 840m leading into tomorrow's Fillies and Mares Maiden Plate (1200m), while another runner who featured prominently during recent barrier trails is the Hancox Bloodstock owned MOSS CHEVAL, who lines up in the QTIS Three-Year-old Maiden Handicap (1300m). 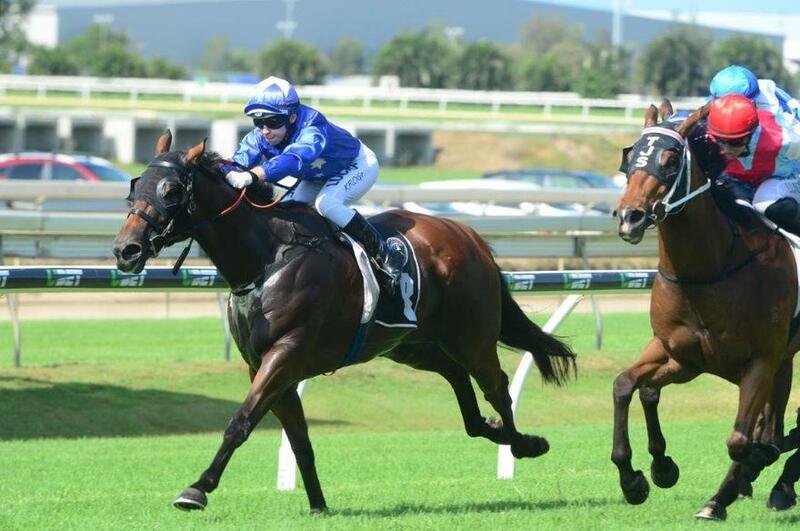 Ipswich Maiden winner STARKERS gets his first chance on heavy going in the Class 1 Handicap (1200m), while previous heavy track winner MARTINELLI (pictured) is third-up in the BenchMark 75 Handicap (1400m). TRAINER COMMENTS: "It looks like it'll be a heavy track but we can't hold him back any longer, he's fit and healthy and he needs to get a run under his belt. If he can handle the heavy going, he'll be very hard to beat but the big question is whether he'll handle it as we've never had him on it. He's a big striding horse, I like him a lot and I think we'll see the best of him once he gets up to the mile. If he handles the track, I expect him to very competitive." TRAINER COMMENTS: "The filly herself is very well and looks a million dollars. With Nathan Day to ride, I'm going to instruct him to have her where she's comfortable, hopefully just off the leaders with a bit of cover and if she can get to the outside with some room to gallop, she'll be strong to the line. She's a lovely filly who I like a lot and I think she's going to make an extremely exciting 3yo filly." TRAINER COMMENTS: "He's drawn atrociously in barrier 20 but he's fit and healthy and I expect him to be very competitive. His trials have been very nice and his work has been quite strong through the week. His coat still hasn't come through to the level I'd like but he's a nice horse and is in good form so I expect him to be strong to the line ahead of future races over longer." TRAINER COMMENTS: "He's drawn barrier 12 but with the emergencies, he'll come in a few barriers from there. I'm quite confident he'll handle the going, he's never been on a heavy track to this degree but he's fit and healthy so I think he deserves an opportunity to be given a chance on a track like this. I'll instruct Nathan to roll forward and give him some galloping room. He's fit now and he should be strong right through the line for us." TRAINER COMMENTS: "Nathan Day retains the ride and he gets back into a 75 rating race. From the barrier, I'd expect him to roll forward and control the race. The horse looks a million dollars and I'm not concerned with his recent form, we've just got to get him in his right frame of mind. If he puts in like we know he can, he's certainly going to be a chance in the race. We know he gets through the heavy going and if he gets a comfortable lead, he'll be there at the finish."